Destin is a city of eight square miles between the Gulf of Mexico and Choctawhatchee Bay in the Florida Panhandle. Nicknamed “The World’s Luckiest Fishing Village,” it has grown into one of the Emerald Coast’s most sought after resort destinations. Destin has earned many accolades such as Good Morning America’s “Top 10 Most Beautiful Places in America” through its charm, amenities and endless natural resources. Destin is home to some of the most beautiful beaches anywhere with luxurious living accommodations. You’ll quickly fall in love with the laid-back way of life. Because Destin is also a tourist destination, the city tends to be more active during the warmer months and slower during the off season. This brings a welcome change of pace to day to day life. You can enjoy the activities and excitement the summer brings and the quiet solitude during the winter. As a popular vacation destination at the beach, much of the architecture in Destin reflects the Floridian lifestyle. Residents have bought property in Destin because of its central location and endless amenities. You don’t just get a beach house here, but rather a complete lifestyle filled with dining, entertainment, shopping and more. Whether it is in the middle of summer or the mild winters, there is also something to do and a beautiful beach to walk along. There are a variety of property types available including mansions, condos, townhomes, and more modest homes, both beachfront, bayfront and inland. As the 2nd most popular driven to destination behind Walt Disney World in Florida, many people escape here from a few hours away as a weekend getaway, summer or winter retreat. Since it has all the amenities of home in addition to the beach, there is no reason to be left wanting here in Destin. Destin is filled with fantastic communities surrounding wetlands, parks, walking and hiking trails, golf courses, the Gulf of Mexico and Choctawhatchee Bay. Below are some of our featured neighborhoods offering wonderful amenities along with options for single-family homes and condominiums. For more information on a full list of Destin’s neighborhoods, please don’t hesitate to contact us. Destin may be a smaller than Miami or Daytona, but that doesn’t mean it doesn’t pack a punch. There’s always something fun to do whenever you’re here. World-Class Dining and Shopping: If you love to shop, Destin is home to premium shopping opportunities. 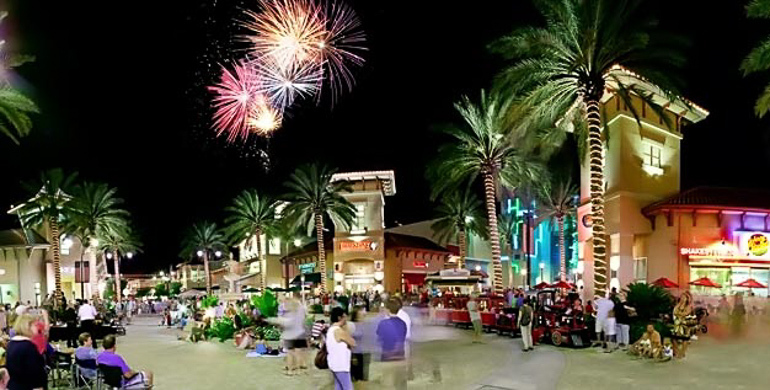 Some of the best shopping areas are the Destin Commons, Grande Boulevard, and Silver Sands Premium Outlets. Fishing, Boating, Water Activities: Destin claims to have the largest fishing vessel fleet in the state of Florida and as “The World’s Luckiest Fishing Village” there are endless fishing opportunities here. If you enjoy being out on the water for sport or pleasure or both, you will definitely be at home here. In Destin, there is no shortage of outdoor activities for individuals and families alike to enjoy. With cool to warm temperatures year round, the weather is great for enjoying everything Destin has to offer. Henderson Beach State Park: Enjoy over 6,000 ft. of natural scenic shoreline on the beautiful Gulf of Mexico at Henderson Beach State Park. You can relax on the white sugar sand beaches, explore the emerald green waters, catch fish, or hike through the coastal dunes. 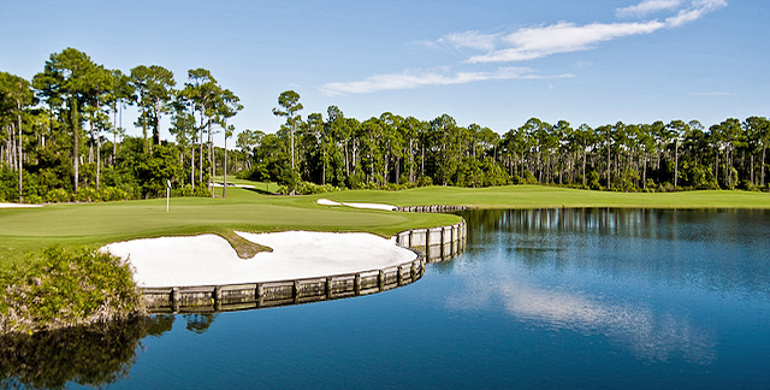 Golf: If you love to play golf, then Destin is the place for you. Improve your game by playing on one of the city’s numerous championship golf courses, including Kelly Plantation Golf Club, Regatta Bay Golf and Country Club, and Indian Bayou Golf Club. Destin Harbor Boardwalk: Go for a stroll on the beautiful quarter mile Destin Harbor Boardwalk. Along the way, you can enjoy the many shops and restaurants, as well as seasonal festivals. Whether you are on vacation with the family or alone, looking for the perfect place to retire or just want to be close to the beach without sacrificing any amenity from back home, Destin has a spot for you. 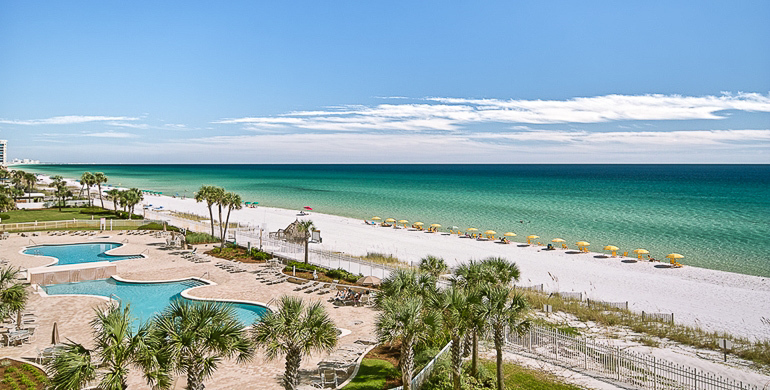 Destin is filled with possibilities for vacationers and working residents alike; both enjoy living in their own Floridian paradise equipped with everything you could ever need.